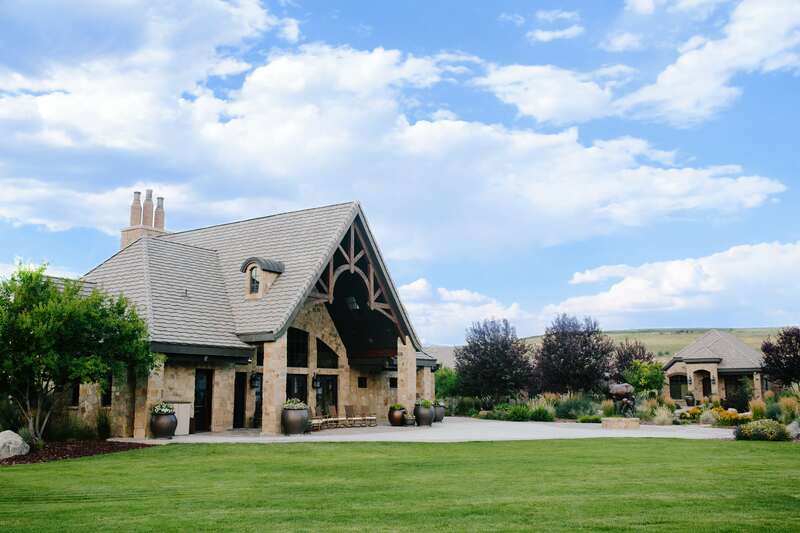 Whiskey Creek Ranch is owned by Nathan & Stacy Hale and is enjoyed by their family and friends. We are not a commercial property for rent. The only income derived on the property is from normal farming activities. 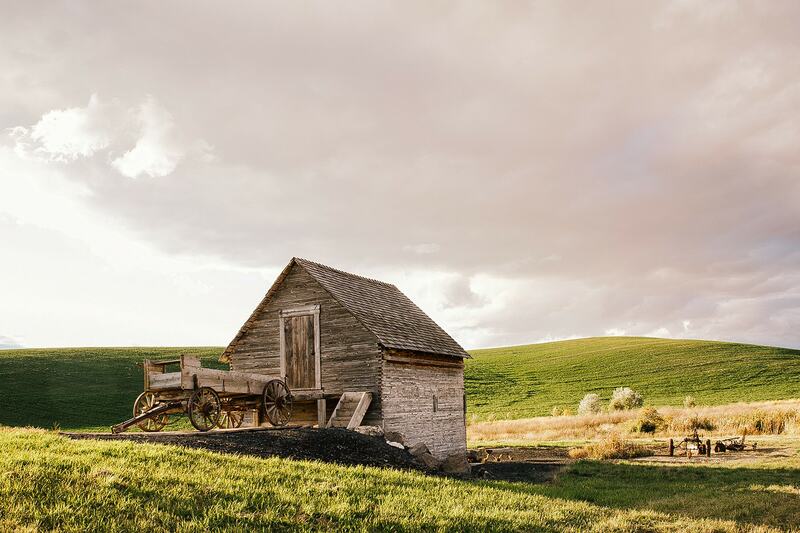 The ranch resides in historic Gem Valley, settled by Latter-day Saint Pioneers in the mid 1800’s. Since acquiring the ranch several construction and restoration projects on the ranch’s property have revived the area, encouraging extensive growth in plants, fish, and fowl. This site aims to highlight the history of the ranch, give friends and family an idea of how to prepare for their stay, and record some of the memories of past events held here. 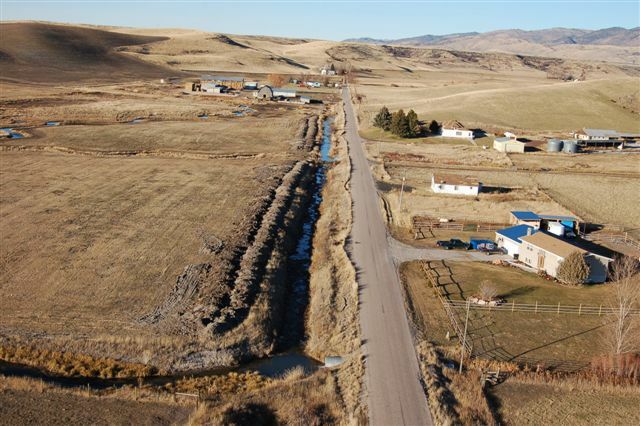 The Swensen family was the original family to have settled this property in Gem Valley, and only a few of the original buildings still reside on the land which comprises Whiskey Creek Ranch. The Swensen homestead sat on the opposite side of the river from the old granary that was built late 1800’s. In the mid 1900s, the Mickelson family purchased the land and ran a farming and milking operation until the property was sold to the Hale family in 2006. Outdoor enthusiasts, Nathan and Stacy Hale began a restoration project on both Whiskey and Trout creek. After over fifty years of cattle foraging around and through the streams; changing streams out of original channels…major erosion to the banks decreased the depth of the water. Fish (specifically trout) rely on deep pools to be able to hide from predators that feed on top of the water. By putting the streams back in their original channels, increasing depth of stream, adding truck loads of rocks and pebbles and increasing plant life along the banks, fish in Whiskey & Trout creeks have flourished. Outdoor enthusiasts, Nathan and Stacy Hale began a restoration project on both Whiskey and Trout creek. After over a hundred years of cattle foraging around and through the streams, major erosion to the banks decreased the depth of the water. Fish (specifically trout) rely on deep pools to be able to hide from predators that feed on top of the water. 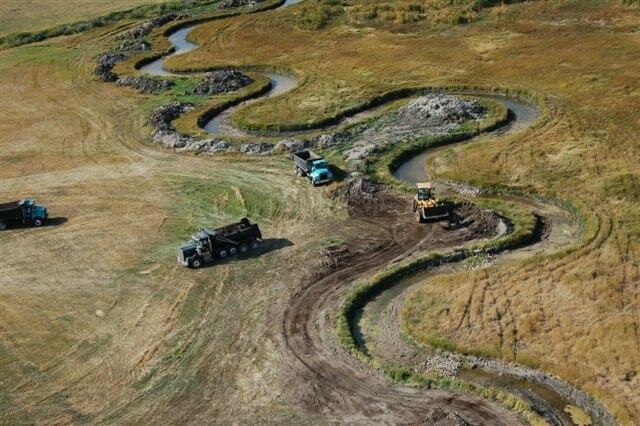 Through rebuilding banks to imitate the water’s original flow, dredging the stream to increase depth and increasing plant life along the banks, fish in Whiskey &amp; Trout creeks have flourished. 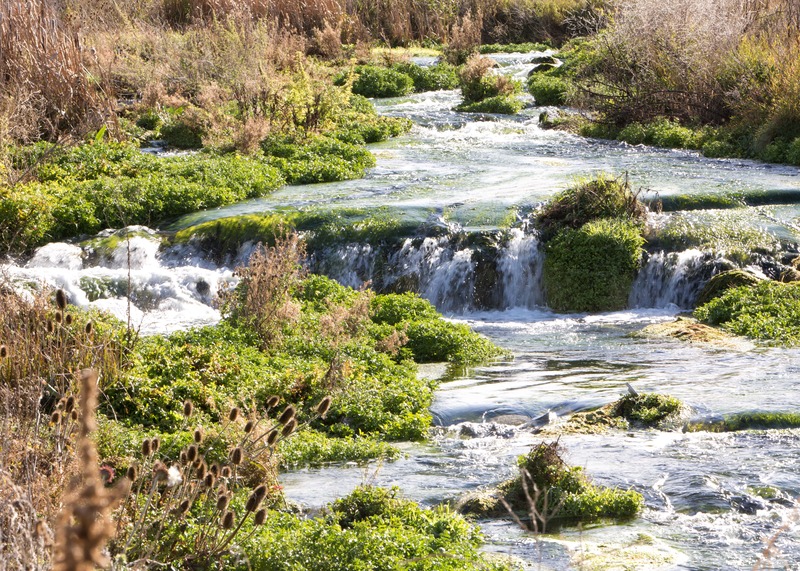 The increased health of these streams and the land has had a positive impact on the Whiskey Creek Ranch wildlife. Every year we work on different sections of the land planting hundreds of trees/shrubs, planting food plots for birds/mammals as well as eliminating harmful weeds. This gives cover for small game and fowl, food for many species including pheasant and mule deer. All of which you can see as you navigate through the property. All this has been done to enable family and friends to appreciate the beauty of Gem Valley. The Lodge and Villas were constructed to provide comfortable accommodation without distracting from the beauty of the ranch. Restoration work and farming is done to promote exceptional hunting and fishing. 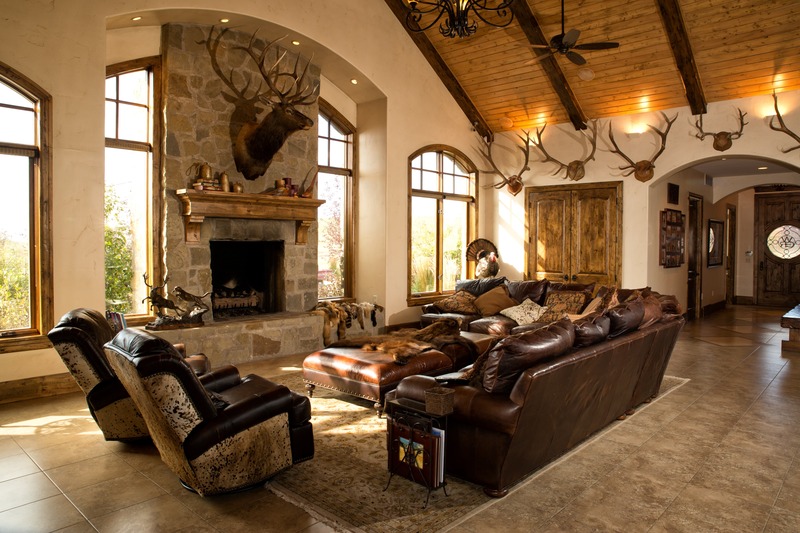 Whiskey Creek Ranch aims to be the ideal wilderness retreat. We look forward to hosting family and friends and hope you will enjoy staying with us. We hope this site will prepare you for all the fun you will soon experience.